Amid a political crisis marked by almost daily demonstrations and clashes between protesters and the security forces, which have seen more than 100 people killed so far, President Nicolás Maduro ordered elections for a national constituent assembly to draft a new constitution – a move rejected by the opposition. The opposition, who blamed President Maduro for an economic crisis that caused shortages of food, medicine and basic supplies, instead demanded new elections to remove Maduro from power. Despite a boycott by the opposition, a vote for the national constituent assembly was held on 30 July 2017 amid violent protests. President Maduro argued that the new constitution would bring peace to a divided country, while the opposition called it an assault on democracy. Several opposition leaders were detained. The newly constituted National Constituent Assembly removed the country’s chief prosecutor, Luisa Ortega Diaz, from office and assumed the legislative powers of the opposition-controlled National Assembly, thus, as a matter of fact, neutralizing the parliament that had been democratically elected in 2015. The opposition accused President Maduro of a constitutional coup d’état. “In Venezuela, the situation has escalated further following serious riots last weekend that left at least another 15 people dead, scores of injured and 100 arrests. With the election to the constituent assembly, the Government of Venezuela has acted contrary to the will of the large majority of the population, and has executed the election with violent means. It has also ignored the recommendations of the United Nations and numerous representatives of the international community. 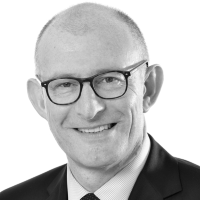 “This is a de facto disempowerment of the democratically elected parliament. There is the illegitimate dismissal of Attorney-General Ms Ortega. These are all measure by which the Maduro Government has shaken democracy and is leading the country further and further away from democracy and the rule of law. For that reason, our demands are quite clear, and they lead, of course, to a peaceful solution to the crisis by diplomatic means. That is what we support. This statement was widely interpreted in the Venezuelan media as Germany adhering to the Lima Declaration. 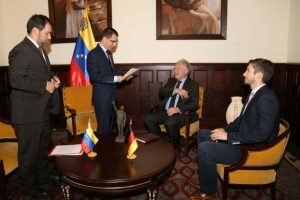 On 16 August 2017, the German Ambassador to Venezuela was summoned to the Foreign Ministry in Caracas where he was handed a note protesting against “interventionist” comments by the German government spokesperson – a fact widely publicized in the Venezuelan media. On 19 August 2017, the Venezuelan National Assembly convened a special session and adopted a motion which called “on the international community, to support with appropriate actions, the defence of the sovereignty of the Venezuelan people and the legitimacy of the national parliament”. The session was attended by several foreign diplomats, including the German ambassador, showing their support of the National Assembly. The German ambassador continued his support of the opposition also in other ways. 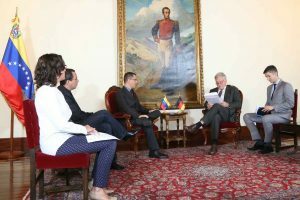 On 2 September 2017, together with his colleagues from Spain and Italy, he accompanied Venezuelan human rights activist and wife of opposition leader Leopoldo López, Lilian Tintori, to the airport. Ms Tintori wanted to travel to Europe to meet, inter alia, with German Chancellor Angela Merkel to discuss the human rights situation and the latest political developments in Venezuela. As she was subject to a criminal investigation, however, she was barred from leaving the country. Upon arrival at the airport in Caracas her passport was seized by the Venezuelan authorities – an incident “witnessed” by the three diplomats who also attended a press conference that had been arranged by Ms Tintori at the airport. “We handed them an official and decisive protest because of the interferences and their conduct in Venezuela, interfering in the internal affairs of Venezuela, […] in the functioning of its democracy and its public authorities. […]. The ambassadors were used by Mrs Tintori, who had prepared a press conference, accompanied by the ambassadors, knowing that she would not be able to leave Venezuela because of the case in which she is accused. Both the German action and the Venezuelan reaction show that the law on non-interference in the internal affairs of States is in a state of flux. In the past, Germany’s public criticism of the Maduro Government, its taking sides with the opposition, as well as its public demands for the release of government opponents and the lifting of judicially imposed travel bans on opposition figures would have been considered illegal interferences in the internal affairs of a State. Germany and other countries no longer seem to accept this. The genocide in Namibia: genocide in a historical-political or in a legal sense?